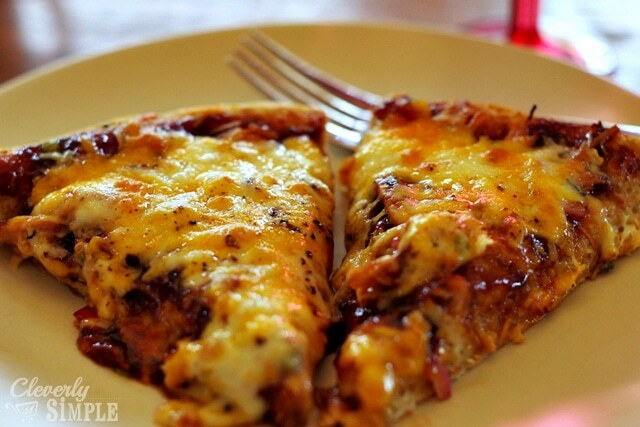 I used to say that veggie pizza with lots of cheese and red sauce was my favorite – hands down. My husband and I probably made hundreds of homemade veggie pizzas during the first five years of our marriage. 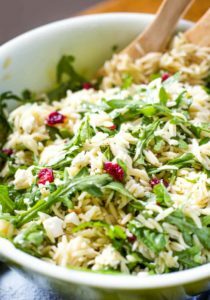 We had a large garden at our home and a grocery budget that didn’t allow for a lot of meat. So… we were content with our onion and pepper or tomato and basil creations. That is, until we discovered how to make homemade barbecue sauce! Let me just say that out of all the sauces you can make from scratch, homemade barbecue sauce wins the grand prize. 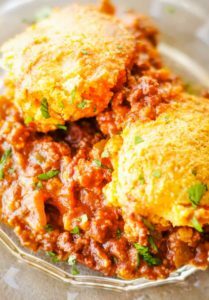 It’s very inexpensive to make, lasts a long time in the fridge and many of the ingredients you probably already have. How does it taste? Normally I’m not a big fan of barbecue sauce. I am the one who usually picks the Italian dressing marinade instead. However, this is not your ordinary tasting bbq. It is DELICIOUS and we will NEVER go back to the bottled stuff again. Spread it on a pizza crust and my friends, the toppings are an afterthought. You could put pickles on a crust with this sauce and it would be wonderful. 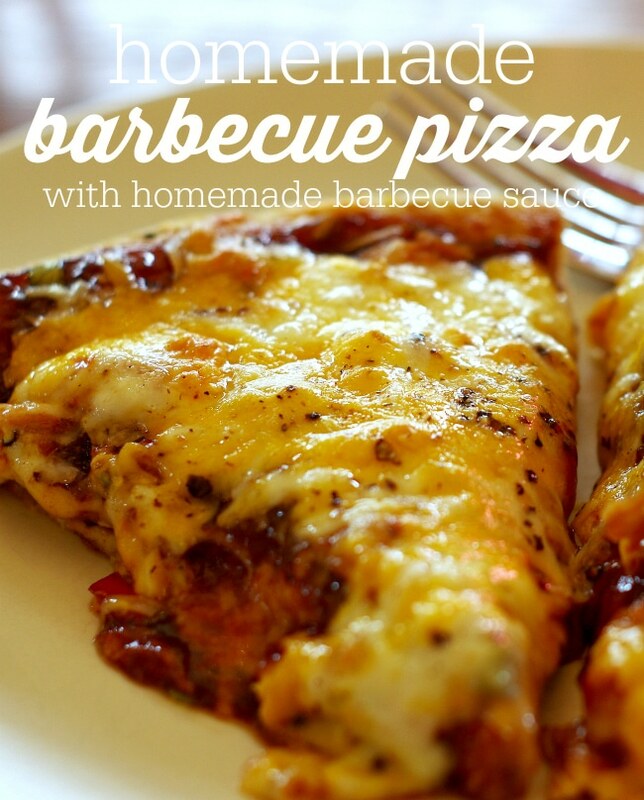 Now, our favorite pizza (and probably for the rest of our lives) is homemade barbecue pizza. 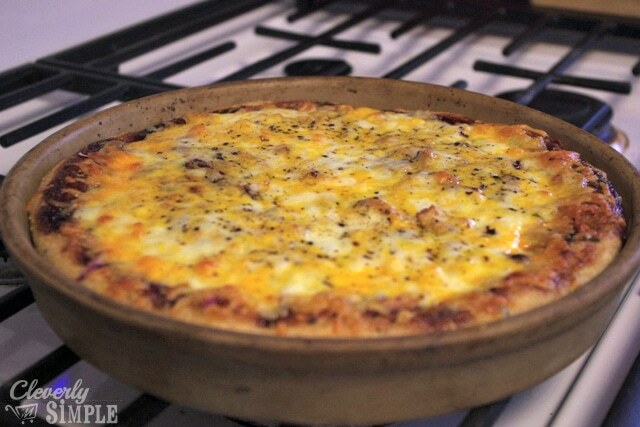 It is great with just veggies, but today, I’m going to splurge and use one large chicken breast to make a classic barbecue chicken pizza for a girlfriend who just had a baby. Come on in to my pizzeria….er, I mean, kitchen! First things first. The barbecue sauce. 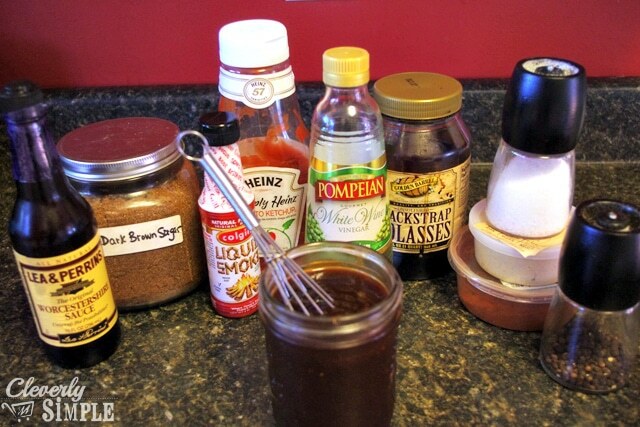 I have adapted this recipe from Simply Scratch by omitting the water and adding molasses and liquid smoke. What I love about her sauce work up is that it does not require cooking. Just mix and store! Here are the basic ingredients: dark brown sugar (as dark as you can find), quality ketchup, white or red wine vinegar, ground mustard, Hungarian paprika, molasses, Worcestershire sauce, liquid smoke and salt and pepper. The quantities in the printable below will make enough for 3 medium pizzas or 2 large pizzas! Will you look at that. Liquid gold. I like to store my sauce in a canning jar and keep it in the fridge. Unlike leftover pizza sauce, it won’t spoil because of the vinegar. Win! 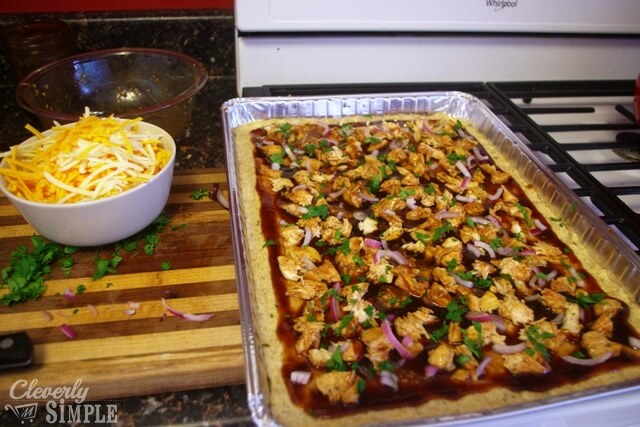 Here are the ingredients for your barbecue chicken pizza. We really love the One Bowl Cornmeal Crust with Cornmeal recipe that I shared some months ago. Along with the crust and sauce, you also have one large chicken breast, red onion, garlic, canola oil, cilantro, seasoning salt and pepper and a mixture of extra sharp cheddar cheese and monterrey jack. Can you see why this pizza is sooooo good? I have a certain way I like to prepare the chicken. 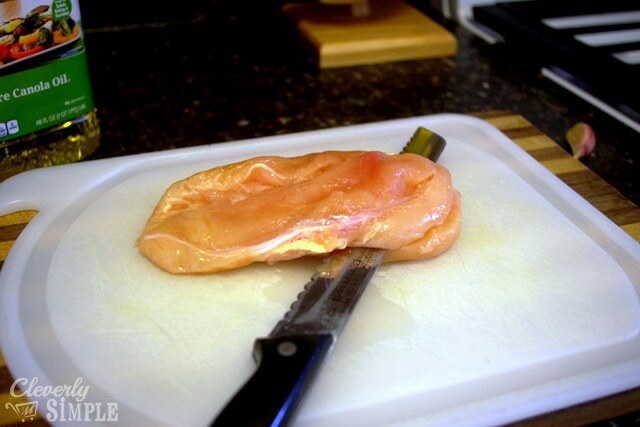 With a serrated knife, slice the breast long ways and make two thin slices. 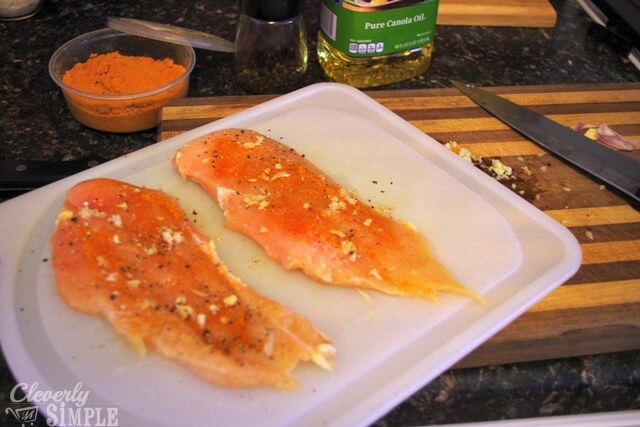 Generously spread chopped garlic, seasoning salt and cracked black pepper to each side of each half. 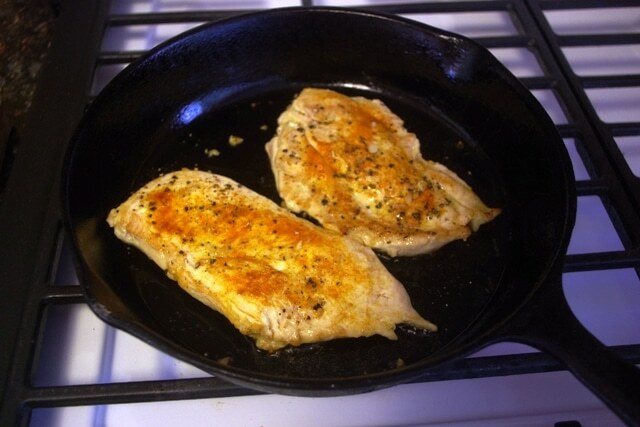 Heat up a pan with 2 T. canola oil. Then put in your chicken and sear both sides. You want high heat! Then, turn the heat off and let the chicken continue to cook in its own juices for 10 minutes. The result is perfectly tender chicken chunks. 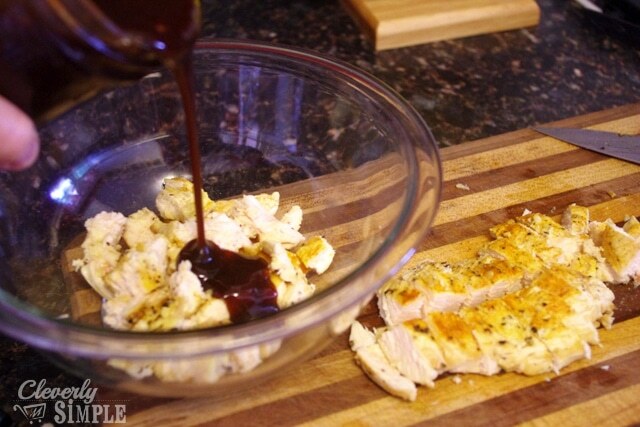 While they are still hot, pour on some of the barbecue sauce and mix it around. 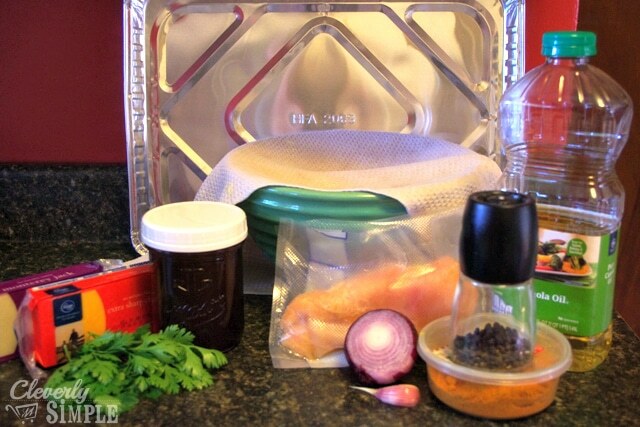 This allows the hot chicken to soak up the sauce for even more flavor. 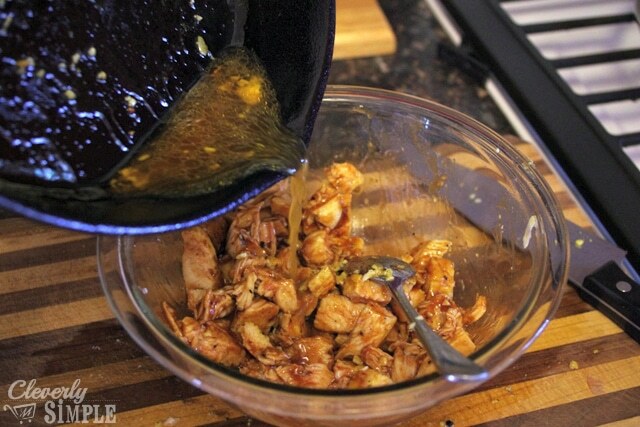 Before you set that chicken aside, pour the pan juices in with the chicken too. Yeah, baby! Ready to assemble the pizza? 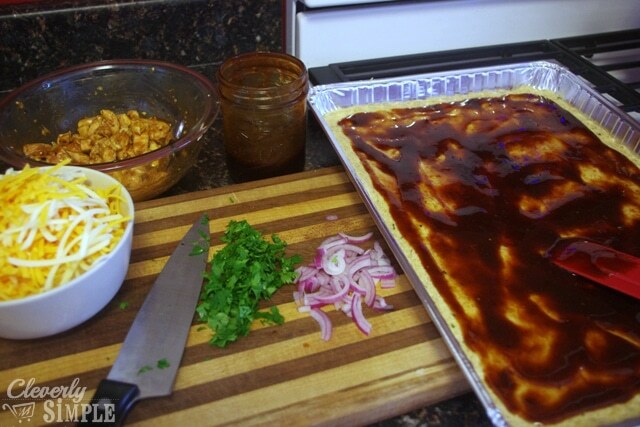 Spread that barbecue sauce on the crust and be sure to leave the edges naked. In this order, add your barbecue chicken chunks, chopped red onion, chopped fresh cilantro, and a 50/50 mix of extra sharp and monterey jack shredded cheeses. If you like things kicky, sliced jalapenos go great before the cheese! After delivering my friend’s pizza, I realized that I completely forgot to take a photo of the uncooked pizza with cheese on it AND the final photo! Ha! Oh well, that is yet another reason why I love the recipe. 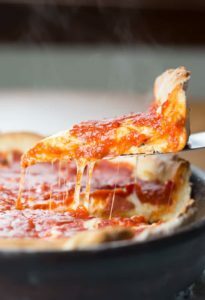 I almost always have spare sauce in my fridge to whip up another pizza – this time, a deep dish for lunch….When it’s time to bake, place it in a 425 degree oven for 20-25 minutes until the top of the pizza is golden and the sauce bubbles up like caramel. 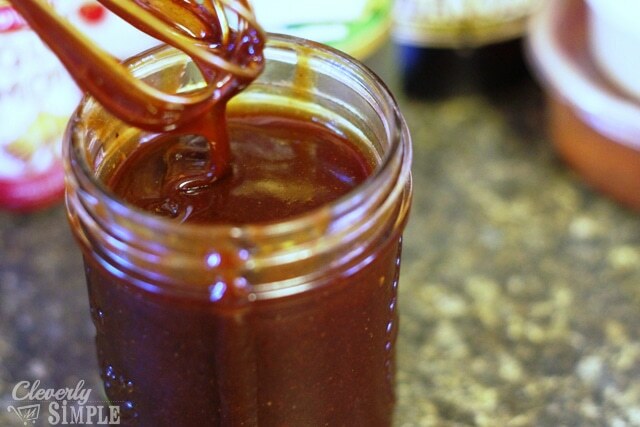 Homemade barbecue sauce – perfect for chicken or even pizza! Whisk all the ingredients together. Store unused sauce in the fridge. 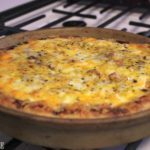 Homemade deep dish barbecue pizza! 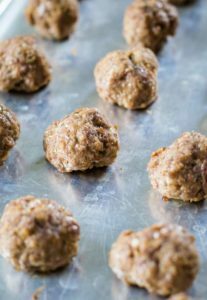 Place into a preheated 425 degree oven for 20-25 minutes or until golden and bubbly. Oh, myyyyy! That looks divine! I cannot wait to try this. By the way, I haven’t seen Black Strap Molasses in years. Where is it for sale in your area?